For far too long, corporations have profited from the exploitation, oppression and killing of people; whether it be for example, arms companies profiting from UK sales to Saddam in the 80s or oil companies like BP and Shell lobbying the government to go to war before the invasion in 2003. In the case of BP, the Chilcot report mentions them (BP) having done a technical review of the third largest oilfield in the world (Rumaila in Basra) months before the invasion. We wanted to showcase throughout our work that we cannot resist the arms trade without tackling the role of oil companies, and colonial institutions and nor could we speak of climate change without talking of colonial roots, exploitation of people, land and environment – but also the resistance that was being led by affected communities. 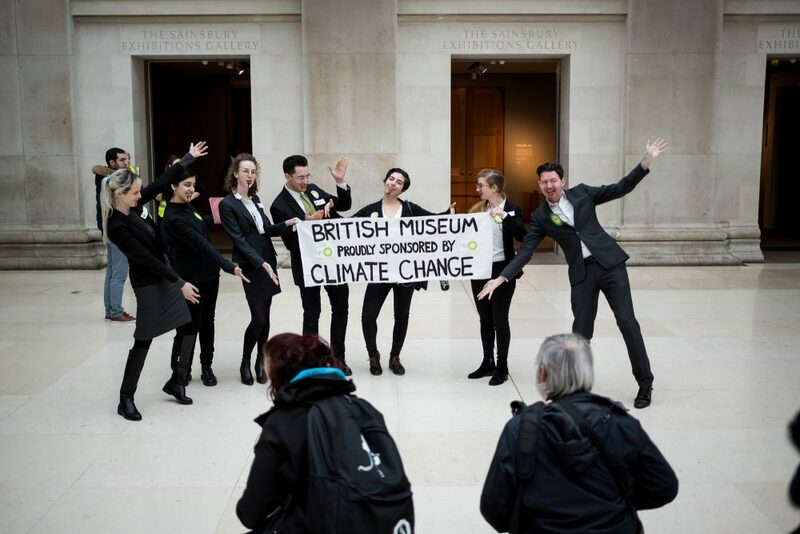 In the same summer that the British Museum had announced the BP sponsored Assyria exhibition, people in Basra were protesting the dire state of water – which had left over 100 000 people hospitalised, and where BP is subcontracted the third largest oilfield in the world. 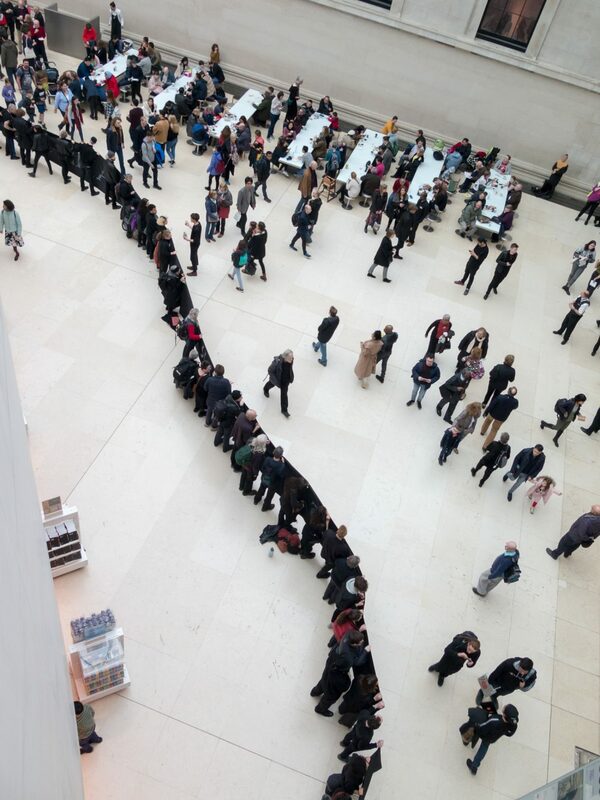 “Both the British Museum and BP should be ashamed of the Assyria exhibition and its sponsorship. 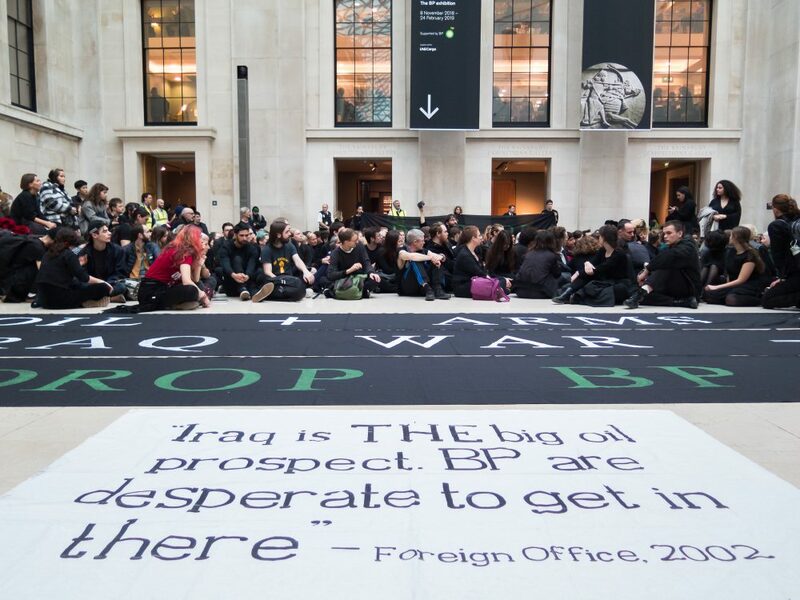 We have not forgotten, nor forgiven, the role that BP played in 2002 by lobbying government officials for access to Iraq’s oil before the invasion. 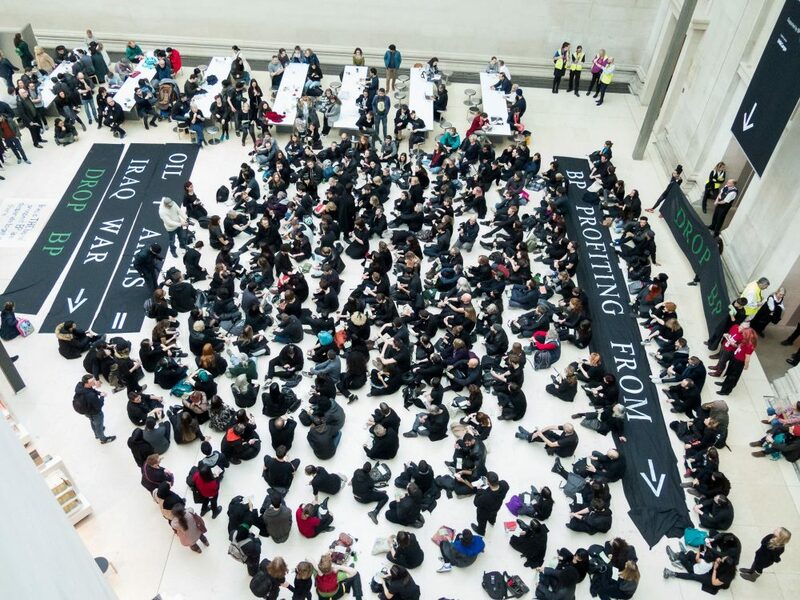 Messages from the public to the British Museum are scattered around the Foreign Office quote (2002), whilst protesters file out with of the museum with the ‘living tapestry’. 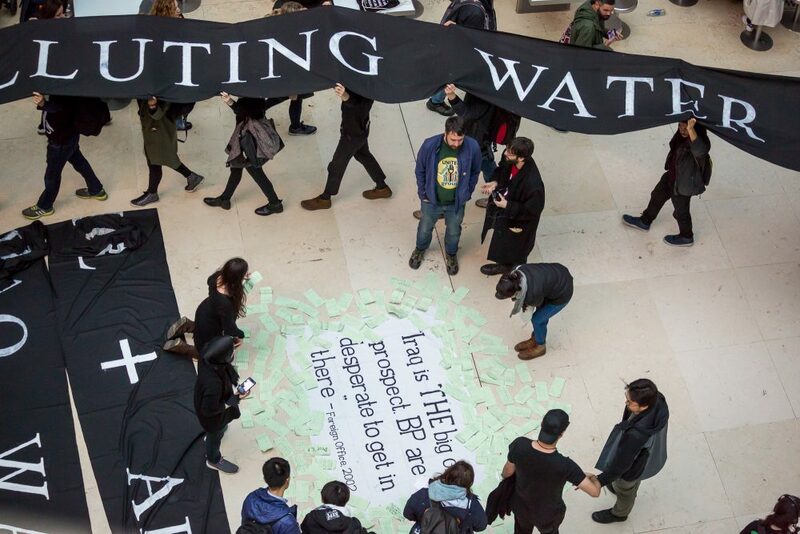 Here you’ll find photos from the action on the 16th, previous actions, and videos (like the one below) that we released in the run up to our huge takeover. 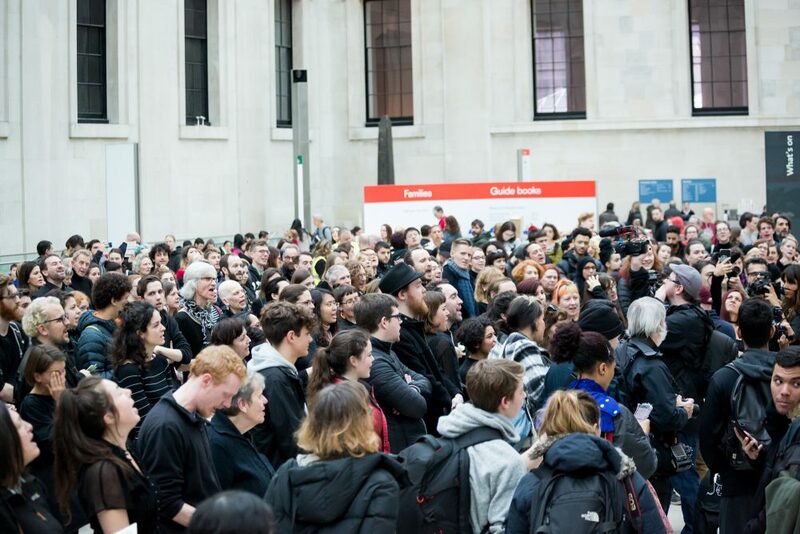 The series of actions is a crucial reminder that our struggles are interconnected; that economic injustice, climate wreckage, colonialism, corruption and war can and will only be fought collectively.